I already have a half-written post about my activities this weekend, but the bombings in Boston are obviously on my mind tonight. Seriously. What the hell is wrong with people? Who sets off bombs at the finish of the Boston Marathon? Let me repeat that. 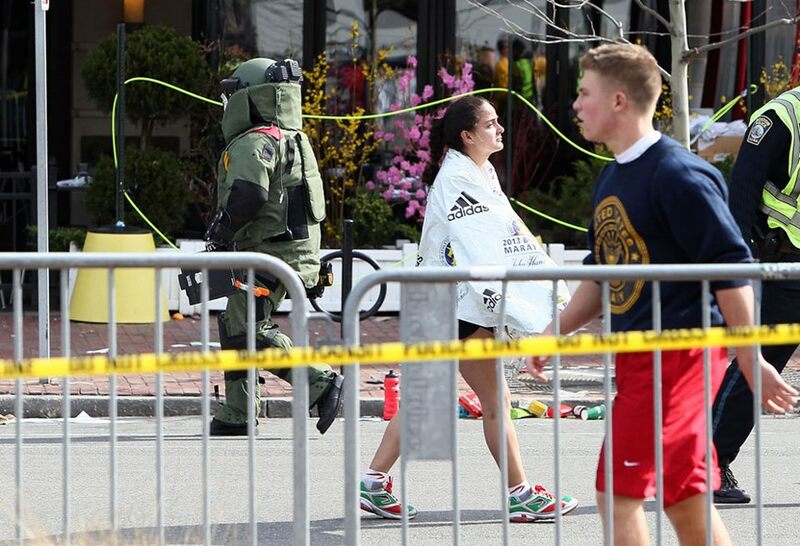 WHO SETS OFF BOMBS AT THE BOSTON MARATHON?! I don't understand how this can happen. So far, three people have been killed, including an eight-year-old child, and over 130 people are injured - some critical. Some of the images I've seen look like scenes from a war-zone, not from the most famous marathon in the world. The second being our amazing first responders. The sight of policemen, National Guardsmen and even random volunteers immediately running over to the grandstands where the first bomb detonated and tearing down the barricades to get to those injured is just awe-inspiring. Seriously. God Bless them. I don't know what those people are made of, but I wish I had one-tenth of it. Another little glimmer is the outpouring of assistance from the Boston community who opened their homes to runners and their families who needed assistance. And some restaurants offered free meals to runners after realizing that thousands of runners couldn't get access to their wallets after the race because they weren't allowed back into the race area to pick up their personal belongings. And finally, there is the story of 78-year old Bill Iffrig. He's the first runner you see crumple to the ground when the first bomb goes off. He got up and finished the race. Official time: 4:03:47. He would have beat me, no doubt. I saw this on Facebook. I'm not sure who wrote it, so I can't give them credit, but I think it's appropriate. I may not have qualified this year. 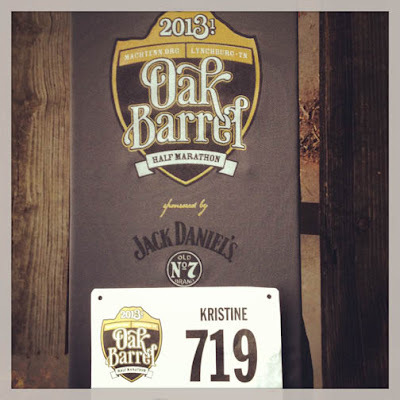 I may have qualified and not run. I may have been injured and unable to go. I may never have qualified. But, I am a runner. And my heart is in Boston today. God Bless those affected. My prayers are with you. Before I go into the details of this race, I want to say that I LOVED this race. I'm saying this now because there is a chance I might sound a little whiney in this recap. But know while reading that I loved, loved, loved this race. The morning started, as most race mornings do, WAY too early. The Oak Barrel Half was held in Lynchburg, which is about 75 miles away. The race started at 8:00, but we left around 5:15 because we still needed to check-in, plus we really had no idea where we were going and we needed a time buffer in case we got lost. 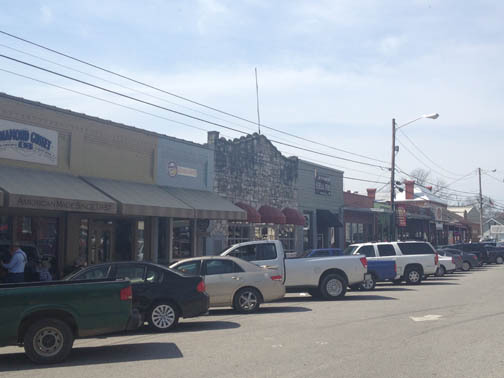 But we didn't get lost, so at about 6:30 we (Dudley, Kathy from FTP and I) rolled into Lynchburg. Many people will recognize Lynchburg because if its most famous product - Jack Daniel's. Thank you Jack! I feel welcome! What's awesome about running a race in a small town like Lynchburg is that you only need directions to the city itself. The race takes over the entire town (literally - there were 1,025 runners), so there's no wandering around wondering where the race is. I was a little concerned because the only parking directions we were given was "Once you get to Lynchburg, follow the signs for parking." But it worked! We followed the signs and parked almost next to check-in. It was fantastic. Because the race only had a little over 1,000 people, packet pickup took all of 5 minutes, so we had over an hour to kill before the race started. So what did we do? Take pictures, of course! 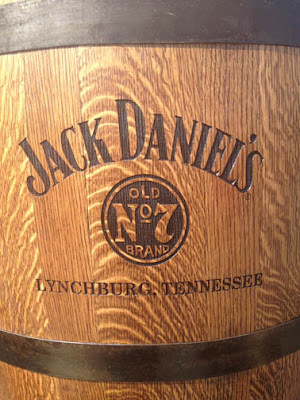 These Jack Daniel's barrels were everywhere. At the starting line. We were pretty sure that Kathy accidentally stepped over the start line and activated her timing chip during this photo. The race started right at 8:00. 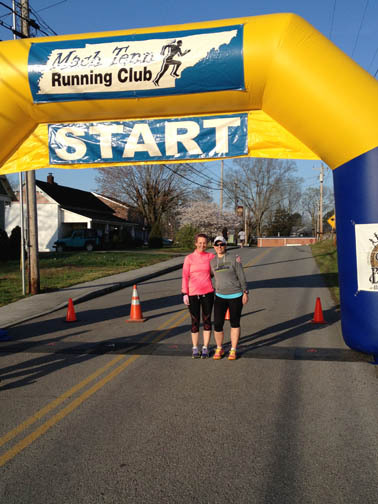 Again, gotta love the small-town races. The race director did the count-down on the PA and instead of a starting gun, they had a truck blow its horn. It sounded like a train whistle. It was pretty funny. Dudley (who didn't race) said that they started playing "Eye of the Tiger" after the horn, and they cut it off after the last runner started. They didn't get half-way through the song. THAT'S how small this race was. I think that's hysterical. So the race starts, and we start to run. It was BEAUTIFUL out there. Seriously. Nothing but rolling, green hills filled with horses and rustic barns. It did get a little too "farmy" for me around mile 2-3 when the smell hit us. Cow manure. Really, really bad. It was weird because I didn't actually see any cows, but whew - you could smell them. My run was kind of blah at this point. My legs were dead, and I probably went out too fast. Around 3.5 miles, I told Kathy that I needed to slow down. We'd been doing about 9-minute miles, which is too fast for me for a hilly, half-marathon. She kept going and I slowed to about a 9:30-minute mile. She remained within eyesight for about a half-mile when we hit Whiskey Hill and I had to walk. Well, I probably didn't "have" to walk, but I did. As I said all week, I wasn't planning on pushing myself during this race. It's supposed to be one of the hardest and hilliest half-marathons in Tennessee. I didn't feel the need to kill myself running it - especially on the famous Whiskey Hill. And let me tell you, this hill is no joke. Going up! Gotta love a hill with a steep switchback! This doesn't do the steepness justice. It was crazy. Whiskey Hill felt like it lasted forever. It was pretty much a mile long. When I saw that switchback, I audibly said "Oh crap. You have got to be kidding me." Even walking, my legs were dying - especially my calves. 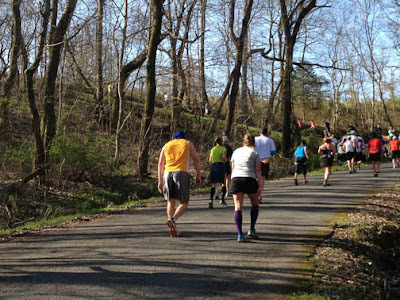 If you do this race in the future - respect this hill and train for it. Once I got to the top and had a bit of water, I started feeling good for the first time of the race. 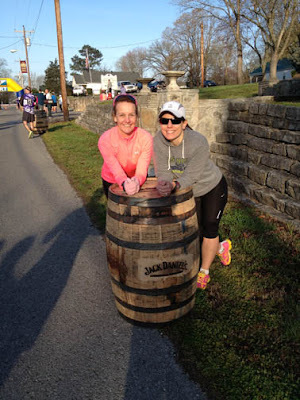 It probably had to do with the fact that I knew the hardest part of the race, Whiskey Hill, was behind me. I felt strong and started thinking that maybe I'd push myself a bit... That feeling lasted less than a mile when I hit Whiskey Hill's smaller, but no less bitchy, sibling. We turned a corner and I swear the road went straight up. I almost started laughing - you know like you do when you're delirious and haven't had enough sleep. But, what can you do? I just put one foot in front of the other and ran up the stupid thing. And yes, I ran it. It was more of a shuffle-run because I'm not sure how you run up something that steep, but I tried. It was somewhere around this time that I started looking for cool photo opps. I purposely took my phone so I could take pictures if need be. I really wanted to get one with me and a cow, or on a tractor. Unfortunately, I didn't really see any cows (only smelt them) and the only tractor I saw was about 200 yards away. It's owner was sitting on his porch watching the race go by, and I bet I could have made the tractor pic happen, but it seemed more of a hassle than what it was worth. But I did get this photo of a bunch of hay surrounded by mud. Just in case you didn't believe I was running though farm country. You're welcome. 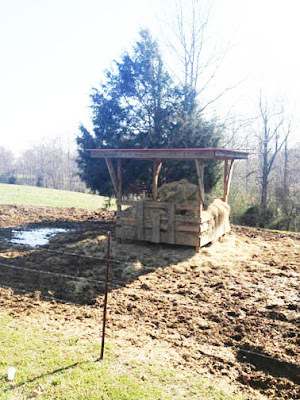 It's a feed trough, y'all! At least, I think it is. What do I know? I grew up near DC. I was told that miles 9-12 were "all downhill," which would make sense since we'd been doing nothing but climbing for the first part of the race. Did we get a downhill? Sure. A bit. But no where NEAR the three-miles I was promised. THAT was disappointing. Not that it wasn't a beautiful run, and it was pretty flat for the most part - but after all of that climbing, I wanted to literally roll back down into Lynchburg. I kind of felt like that was owed to me. But alas, it was not meant to be. I still had to run, so run I did. I was surprised because even with my walking (and tweeting) during the race, it looked like I had a chance to break 2:15. Not a PR, but not bad for a race that was so hilly. The finish line was pretty much where the start was - back in the town square. The last mile was on the road that you took into town. It was flat and straight. I tried to pick off as many people as I could on this last bit. I turned the corner to the finish line and saw the finish clock showed 2:14 and counting. Remember in my last race recap when I said I had no kick? Well, I found it. I really wanted to beat 2:15. And I did. My official time was 2:14:35. What's kind of funny is that my Garmin said 2:10, but it's on auto-pause, so it stopped whenever I stopped to take a photo or what not. I, apparently, spent four minutes of this race just standing around. After getting my awesomely cool finishers "medal," I found Dudley and Kathy (she came in at 2:03) and enjoyed the post-race activities. Mad props to Mach Tenn, the race organizer. 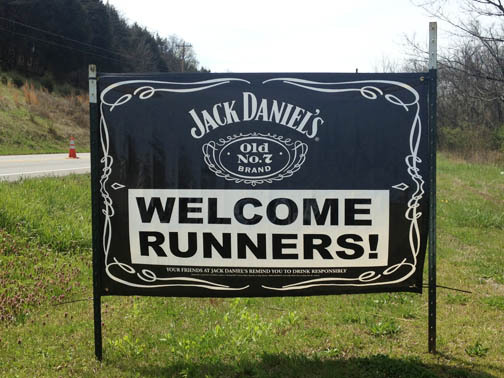 They know how to put on a race! They had all sorts of food (pizza, fruit, scones, Brunswick stew, Hoecakes, cookies) and drinks (milk, water, soda) for the participants and supporters. And they gave the finishers a hat AND Swiftwick socks!! LOVE that! 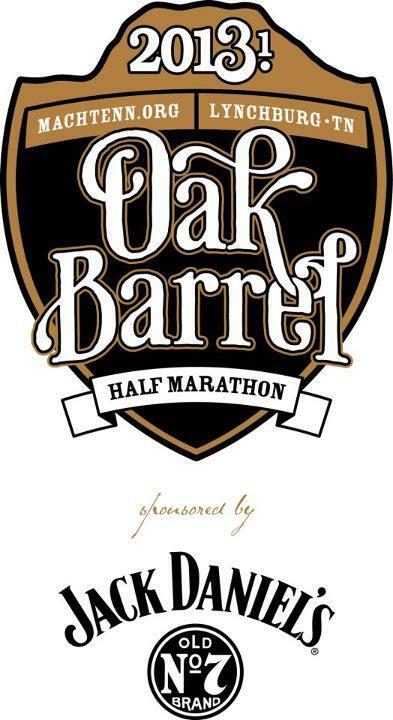 They're consistent with the Oak Barrel branding. As a marketing person, I can appreciate that. 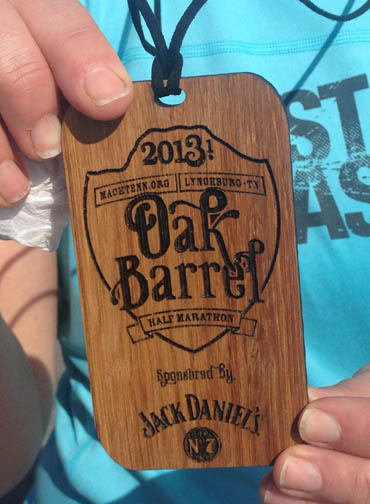 Have you seen a cooler finisher's medal? I think not. They also had a live band to entertain us, but they weren't one of those obnoxious bands who were so loud that you can't enjoy yourself. They were a perfect compliment to the atmosphere. And the town square was so charming. I felt like I was in the middle of a movie set. Surrounded by the Jack Daniel's barrels, of course. Just in case you were wondering what the barrels looked like..
Town square at the finishing line. Not the best photo, but you get the idea. Remove the cars and you're in 1940. YAY! We're not running up hills anymore! 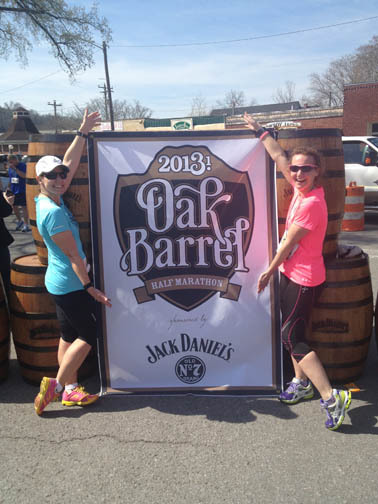 And posing with the finishing banner. "Big" races would charge you $35 for this photo! We met up with most of the East Nasties who ran and they all had great races too. In fact, I have yet to find one person who didn't have a fantastic time. Yes, it was hilly, but if you had read anything about this race AT ALL, you knew it would be. And Mach Tenn was awesome. 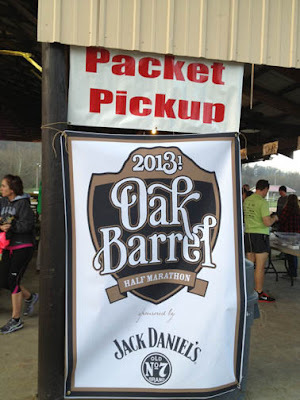 You could tell that the organizers are runners, because from the moment we registered to the moment we left, all of our needs were catered to. Bravo, Mach Tenn, Bravo. 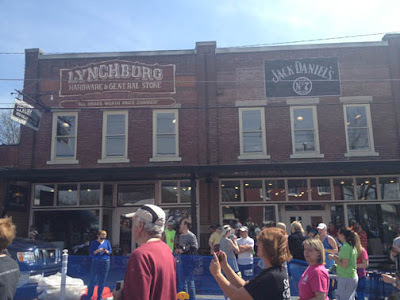 Unfortunately, we needed to get back to Nashville, so we didn't get to hang out in Lynchburg that long. Hopefully, next time we can hang a bit and check out the local restaurants and what not. And there will be a next time because this is definitely a race I want to do again. Seriously. It's April. Spring technically arrived two weeks ago. But apparently, Nashville hasn't gotten the memo because it's still FREAKIN' COLD here. And wet. Heck - not just wet - my bike ride on Tuesday was cancelled because of sleet and ice! It's currently in the 40's and rainy and I'm supposed to run soon. Generally, that's OK running weather, but I'm sick of being waterlogged. I don't think Spring is ever going to get here and it's making me sad. I'm just going to sit here and stare at this photo of a donkey until it's 65 degrees outside and sunny. Because you know what doesn't make me sad? Donkeys. Actually, I think he's mocking me because he's in the sun! I did sign up for the Memphis in May Olympic Distance Triathlon. THAT should be interesting. Even though the name states that the race is in Memphis, it's actually in Tunica, MS. That's right - the gambling capital of the South. Or, at least Mississippi. For some reason, this race chooses a country to celebrate every year as a theme. This year it's Sweden. Kind of random, but why not? Go Sweden! 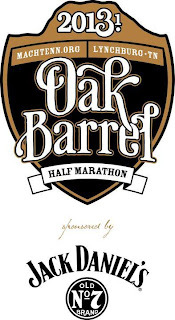 This weekend is the Oak Barrel Half Marathon. Remember in a previous post, I stated that there are races you do for fun, and races you do for time? Well, this is the former. 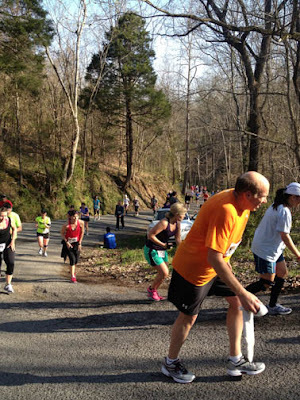 This race is supposed to be one of the hardest in Tennessee. It has a hill that is so tough that it has a name - Whiskey Hill. It even has it's own Facebook page!! So yeah... I'm slightly terrified really looking forward to it! 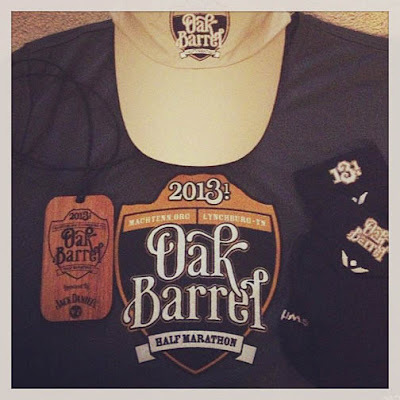 There is, however, supposed to be some serious swag given away at this race AND an awesome medal. (Listen up, race directors - this stuff is important!! Racers like swag! We will come to your race for swag!) 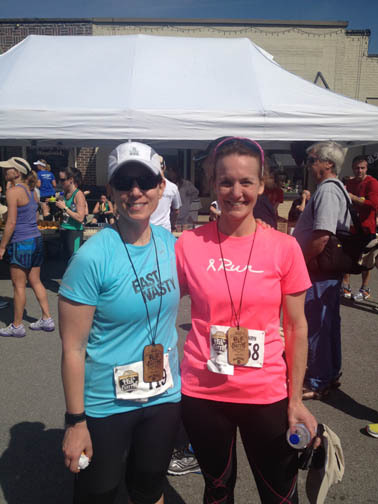 Plus, a whole slew of East Nasties are coming down for the race, and I think my FTP training partner Kathy is as well. I plan on taking a lot of photos. If I don't get one of me sitting on a tractor or with a cow, I'm going to consider this race a failure. THAT'S how seriously I'm taking it.